Companies have been achieving improved business performance for close to three decades by implementing and operating with an integrated business management process known as Sales and Operations Planning (S&OP). A significant number of companies have led the evolution of S&OP from fundamental demand and supply balancing to an integrated strategic deployment and management process. 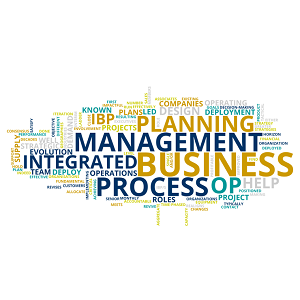 This evolving process is known as Integrated Business Planning (IBP). IBP is a process led by senior management that evaluates and revises time-phased projections for demand, supply, product and portfolio changes, strategic projects, and the resulting financial plans. This is done at the aggregate level on a monthly basis, typically over a 24-month or greater rolling planning horizon. It is a decision-making process that realigns the tactical plans for all business functions in all geographies to support the company’s strategies, business goals, and targets. Through their involvement, both in steady-state operational roles as well as in design / development and implementation / deployment project roles, in a variety of different industries, members of the Accelerate Evolution team are very well positioned to assist organizations with their IBP/S&OP projects. Our Associates are often deployed in an Interim Management capacity to revive an existing S&OP or IBP process and help making it sustainable, or in a Advisory / Project Management role to help organisations to either design and deploy their first iteration of basic S&OP or indeed help them move up the ladder towards advanced S&OP / IBP. Contact us to find out more about how we can best help your organization design, deploy and/or run an impactful and effective business planning process.